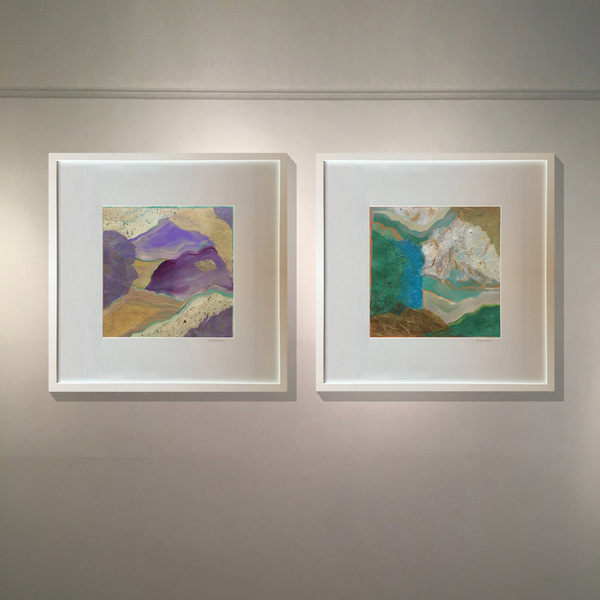 Heidi Lewis Coleman will be exhibiting her Acrylic & Cut Paper pieces, SIERRA & ITHILIEN, in MEMORIES & REFLECTIONS, a new show opening at the Carriage Barn Arts Center. This special juried exhibit will be held from October 13-20, with proceeds from the sale of all works benefiting the Alzheimer’s Association of CT. Please join us at the opening reception on Friday, October 13th from 5-8 PM. The Carriage Barn is located in Waveny Park, 681 South Avenue, New Canaan, Connecticut.